Savoir vivre, Laissez faire, French cuisine, picturesque coasts and villages, yacht harbours for megayachts and secluded bays or anchorages: there are many reasons to spend your yacht charter holiday in France. The yachting scene in France has it all: the famous successful race sailors, the sailboats and catamarans for bareboat charters in the Med and the Atlantic Coast and of course the luxury yacht scene at the Côte d’Azur. The French sailing waters boast highly divers facets for Yacht Charter-Crews – the “Grande Nation” even comes up with three totally different Yacht Charter beats: Yacht Charter skippers set off on the French Riviera in the Mediterranean, start the cruise from Corsica or sail the Atlantic coast in Brittany farther to the South. The Yacht Charter destination French Riviera, which still is home to pretty little harbours and an enchanting backcountry, defiant of all the jet set, is equally popular among Yacht Charter sailors and motorboat cruisers. Since the French themselves also enjoy spending the summer on the yacht, you have the agony of the choices among many Yacht Charter bases. 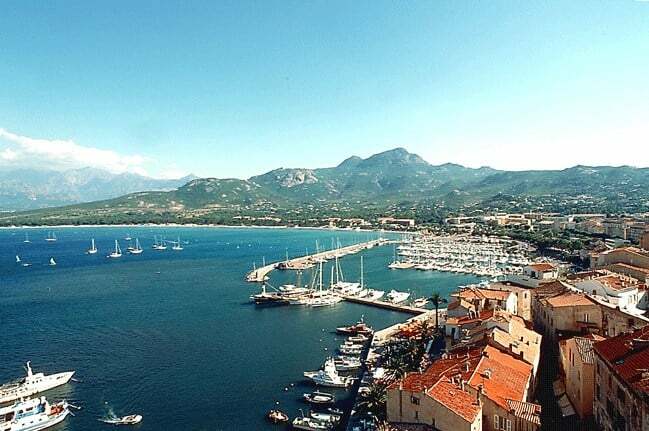 In the eastern part these Yacht Charter bases are above all Antibes, Argens, Cannes, Gogolon and Golfe-Juan, but also Monaco and Nice are qualified as a starting harbour for a Yacht Charter cruise. Westward you can find the bases of Yacht Charter companies and Yacht Charter fleets with many sailboats and sailing catamarans in Hyeres, Marseille or Port Pin Rolland. This is also the gateway to interesting sailing beats like the Languedoc-Roussillion with its etangs, the Camargue with its river delta and the Spanish Costa Brava. High mountains, bays, steep coasts, macchia – the Yacht Charter destination Corsica is extremely attractive scenically with its peeks rising up to 8.000 feet, wild west coast with craggy rocks, elemental north coast with glorious bays and dreamy harbour villages, and long beaches attract Yacht Charter crews in the Southwest. Most of the harbours and bays of interest during a Yacht Charter cruise lie on the east side und in the Strait of Bonifacio. In lots of villages Yacht Charter crews will find marinas perfectly equipped for Yacht Charter next to the old harbour for fishing and yachts. Of all the Yacht Charter beats, it’s safe to say that Brittany is the most demanding, given the tidal navigation and the weather situation. Lorient and Port de Crouesty, situated on the Gulf of Morbihan on the south coast of Brittany, are especially popular Yacht Charter bases. Especially at the French Riviera you will find a wide range of Yacht Charter offers, sailing yachts, catamarans, motor yachts, power boats and luxury yachts with crew. There are important yacht charter fleets with sailboats and catamarans for bareboat charters in France, most at the French Riviera, in Corsica and in Brittany, that are not listed in our Yachtfinder – please ask for offers. And of course we will be glad to send you offers for the most beautiful luxury charter yachts with crew in this area as well. The yacht harbours in the South of France are homeport of many luxury charter yachts, megayachts and superyachts for charter: St. Tropez, Cannes, Monaco, Antibes, Nice – the French Riviera is famous for the yachting scene. Glamourous events with the international high society like Cannes Film Festival, Monaco Grand Prix etc. are a meeting point for the most elegant luxury charter yachts and superyachts. Beautiful luxury sailing yachts can be seen as well during the the famous race events like Les Voiles de St. Tropez. In summer, luxury yacht charter cruises often combine the French Riviera and the islands of Corsica and Sardinia. Here you can read more about Luxury Yacht Charters. 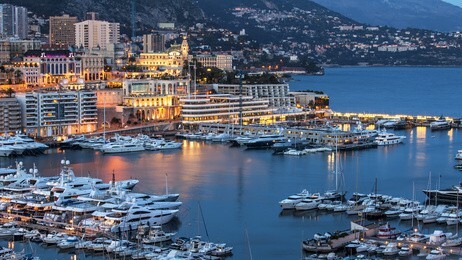 We will be glad to organize your luxury yacht charter holiday in France – please ask for offers!